Hey Monday has announced that they are going on a hiatus until further notice. 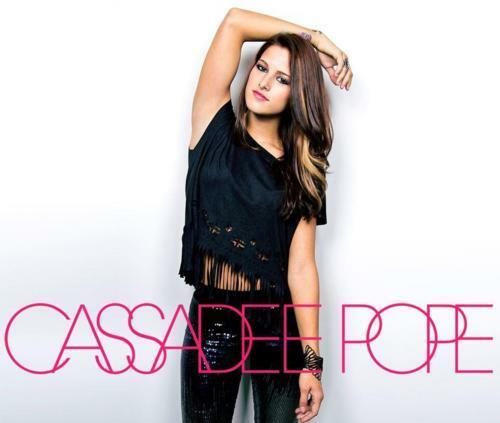 In the mean time, Cassadee Pope is heading out on a solo tour. Make sure to pick up Hey Monday’s Ep, The Christmas EP, on iTunes today! “Hey everyone! Cassadee here. I know since I announced my solo acoustic tour, there has been a lot of rumors and confusion swirling around. I wanted to let you all know that Hey Monday is not “broken up.” We are, however, taking a break and pursuing things on our own. In my case, that is a solo project. I hope you all understand that this does not mean we’ll never release new music or tour ever again. I just felt the need to fill you all in since I’ve gotten a good amount of questions pertaining to this. Me and the guys are still friends and always will be, and this was a decision we all agreed was for the best. I could not have imagined experiencing everything we were able to with a different group of people, our crew included! So we would really appreciate all of your support with this decision. We love you guys and we thank you for everything you’ve done for this band and each one of us individually. We have the best fans ever.